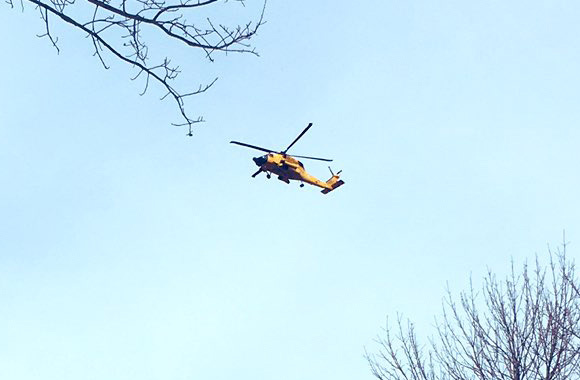 Out on a run this morning, Jason Richardson spotted a Coast Guard helicopter flying in a training mission over the Charles by the Esplanade. The crew also flew low and loud along Mass. Ave. in Cambridge and Central Square. Petty Officer 2nd Class Bradley Martin collects sheen samples. Photo by the Coast Guard. The Coast Guard, the state Department of Environmental Protection and a private oil-spill company are cleaning up an oil spill on the Mystic River near the Alford Street bridge even as they try to figure out which underwater cable it's leaking from. The Coast Guard was scheduled to send divers into the water today to try to find the source of the dielectric oil, used as an insulator in electrical conduits. NorthEndWaterfront.com reports a local inebriate who was refused entry to the Coast Guard base around midnight tried to fight his way in. A Coast Guard guard subdued him with the help of some pepper spray; he was taken to Mass. General for some pre-booking medical attention. 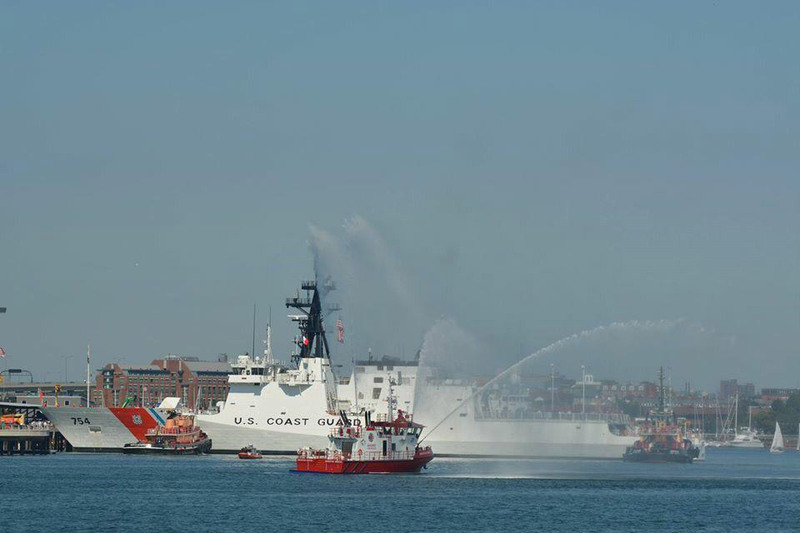 John Gage watched the National Security Cutter James ease into a berth at the North End Coast Guard base today, in advance of its officials Aug. 8 commissioning. Read more. 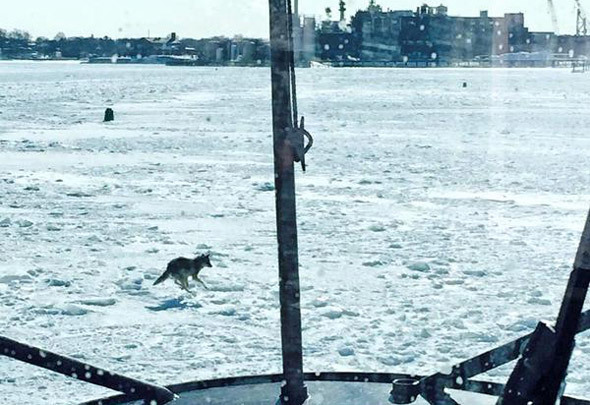 The Coast Guard reports the crew of the Cutter Pendant was cutting channels through the ice off Quincy yesterday when all of a sudden a coyote ran in front of the ship.